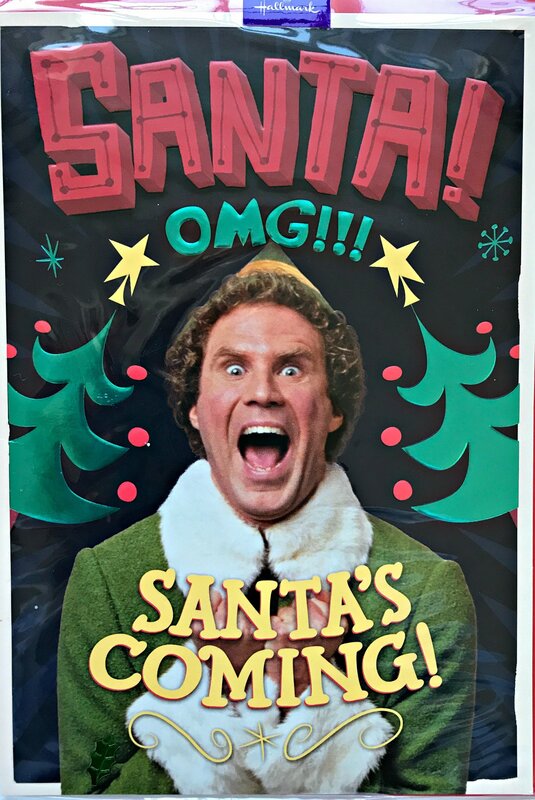 The film Elf is rapidly becoming a Christmas classic. 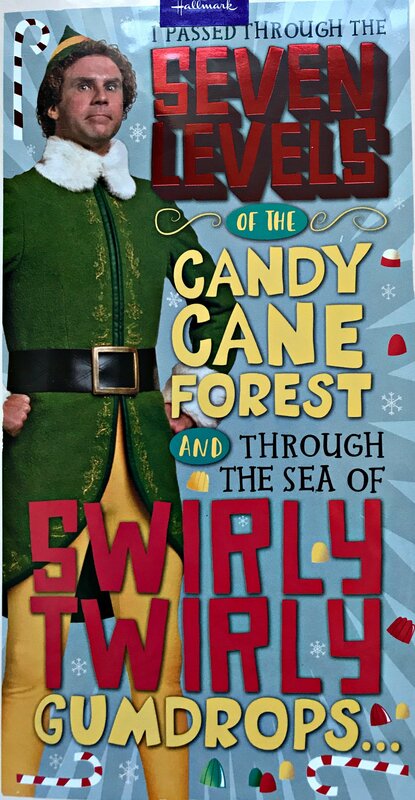 Who doesn’t love Will Ferrell as the outsize elf Buddy who discovers who he really is and teaches his family the true meaning of Christmas? The film captures the child-like glee that we all feel (well I do, the Husband is closer to The Grinch) as soon as the twinkly fairy lights appear and “Fairytale of New York” is played on repeat in every department store through the land? 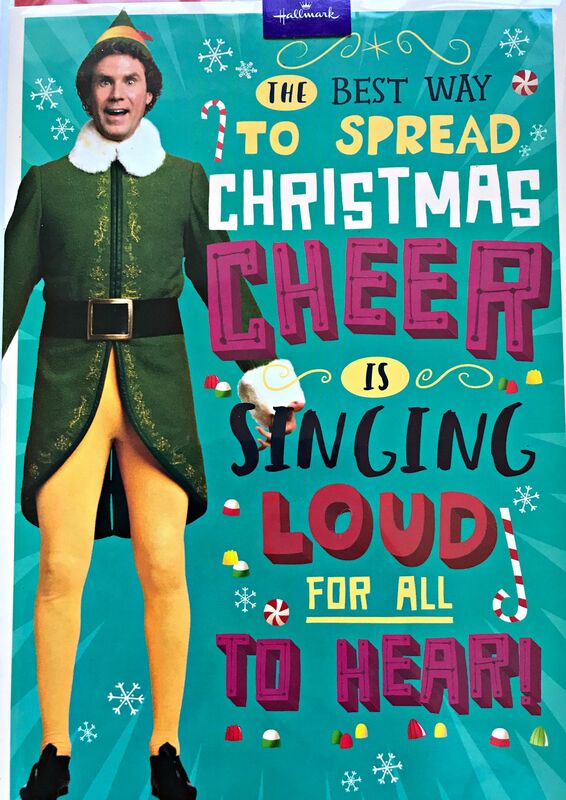 To celebrate all things elfin, Hallmark has created a range of cards feature everyone’s favourite elf (Buddy of course) and his helpful sayings and we were sent a selection of these, together with a selection of elf essentials to throw our own elf party. Our house elf is called Olly and he has been recently joined by a couple of interlopers from Bluestone’s The Kingdom of the Elves, oh and a robin or two from Santa’s workshop. Given that we are in the middle or redecorating and replacing our dining room ceiling, the place looks like the sort of Christmas grotto Morrissey would design if he was having one of his perkier days. If we woke up tomorrow and found Banksy had visited in the night and done us a mural on the dining room wall I wouldn’t be remotely surprised (and very happy given the potential value of his artwork!). 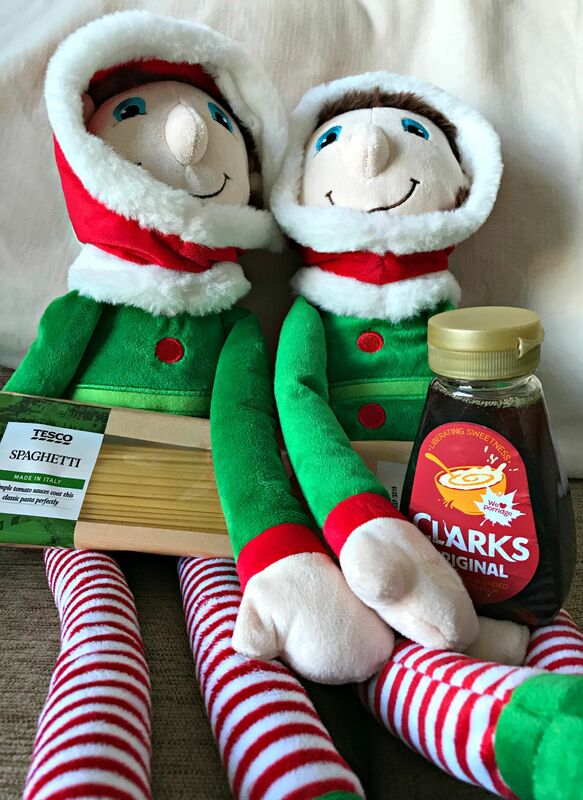 So we were definitely in the mood to celebrate, helped in no small measure by my favourite Christmas compilation (Now That’s What I Call Christmas) and plenty of candy canes, chocolate Christmas puddings, jelly beans, spaghetti and maple syrup. Actually I think that describes Ieuan’s ideal diet in one sentence. We then settled down to watch our favourite film as Buddy travels to New York to cause mayhem. If you fancy a trip to New York as much as Buddy does in the film Elf, this year Hallmark and Tescos are running a fabulous competition to win a £2000 gift card to use towards the holiday of your dreams. 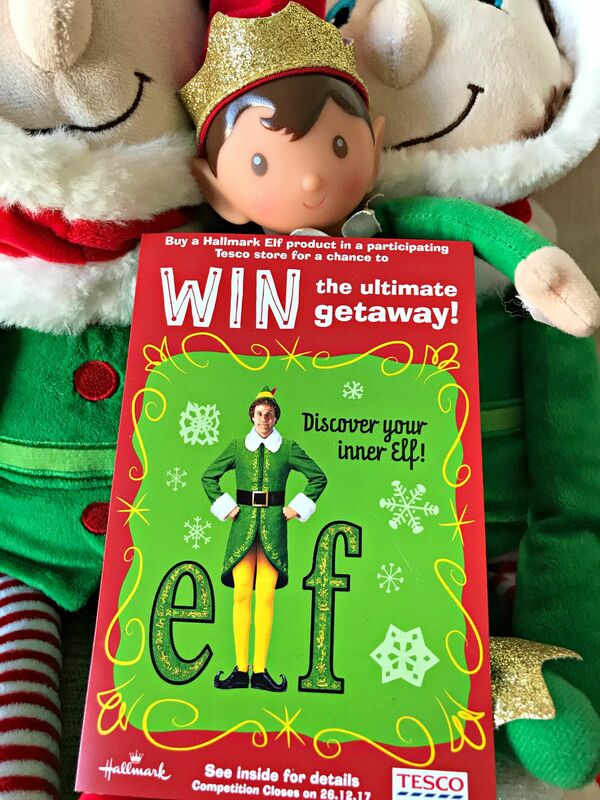 To enter, all you need to do is to purchase a Hallmark Elf product in a participating Tesco store, pick up and entry form and tell them where you would go on your dream winter holiday, who you would choose to take with you and why. Complete your entry form and send it off to the address on the form. Or you can email a photo or scan of your entry to TescoElf@hallmark.com. Don’t forget to keep your receipt though. Terms and conditions apply which you can find at www.hallmark.co.uk/TescoElf and be quick because the competition closes on Boxing Day, 26th December 2017. The winner will be the entry judged to be the most original. And there are plenty of lovely Hallmark cards to choose from. These are some of our favourites. Our ideal winter holiday would be to Lapland or the Swiss Alps to learn to ski – well the Husband and kids, I’ll be nursing a Gluhwein and reading a book back at our picturesque log cabin but the thought’s there. Don’t be a cotton headed ninny-muggins. Make sure you pick up your entry form and send a Buddy greeting to your nearest and dearest. Just think you might be able to take them to the North Pole with you. 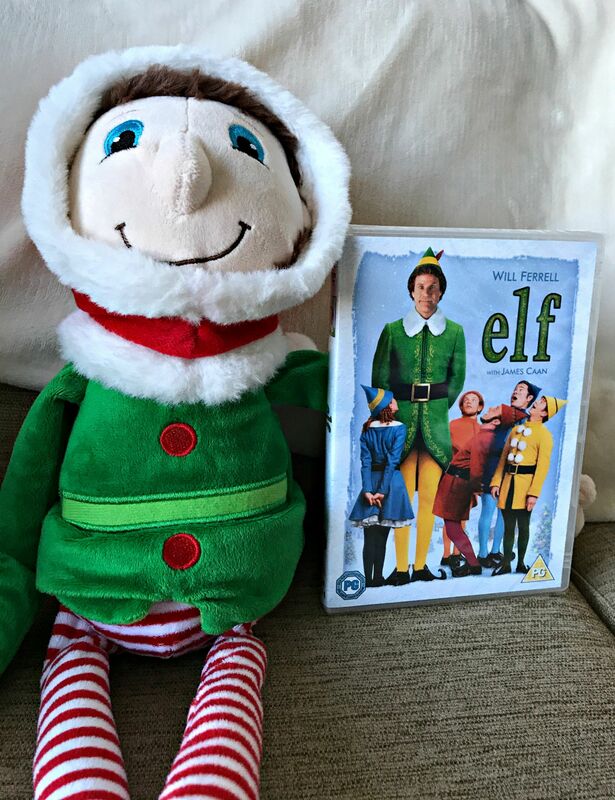 "Problem Page Edition 48 2017"
Elf is one of my favourite Christmas films too … I just never get tired of watching it either! Sounds like a great competition for someone to win. Our Elf is called Hattie. Oh we LOVE Elf too! 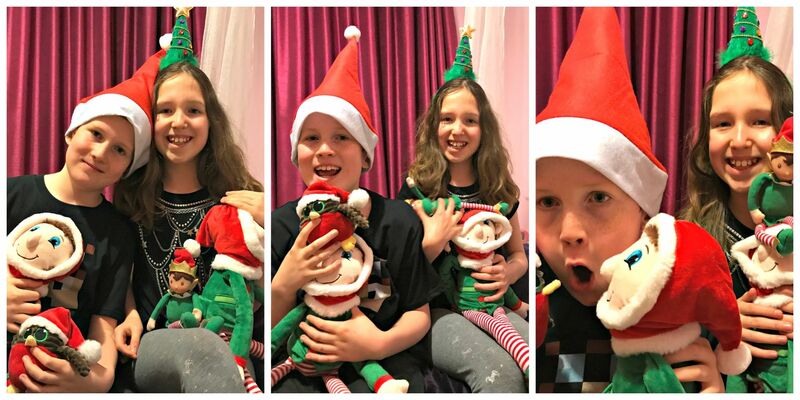 It’s one of our favourites and my children are just elf mad! This sounds like an amazing opportunity! I think my ideal holiday would be to Iceland to see the Northern lights. My sister loves the Film Elf but I’ve never really been one for Christmas films! Ha I LOVE Elf! (I didnt in the beginning) and these elves are super cute! I definitely find some of the ‘elves’ you can buy are a bit scary! I love Elf! I think my ideal holiday would be Lapland too! Oh Me and my family really loves elf! They are really so cute.